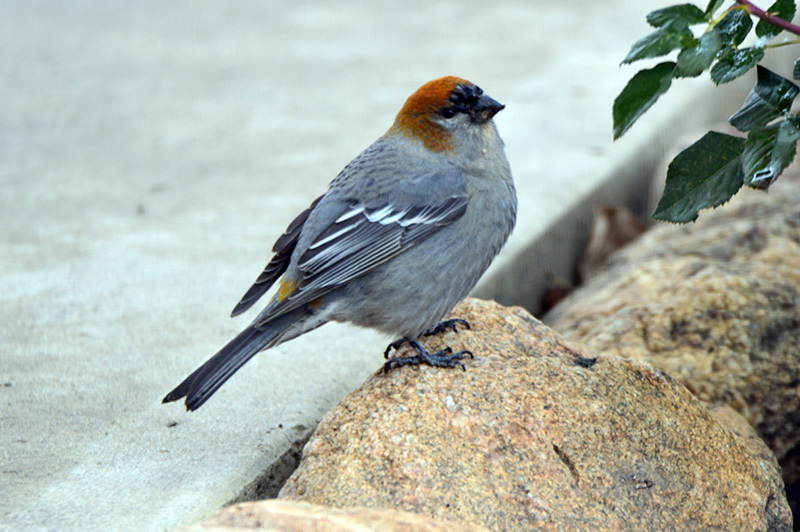 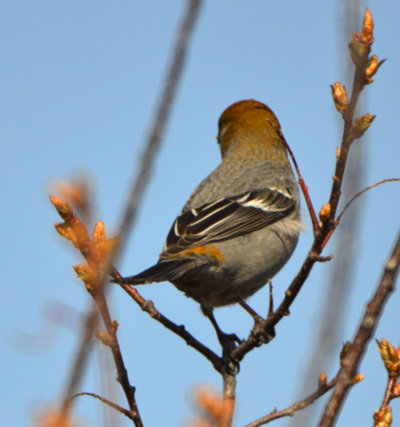 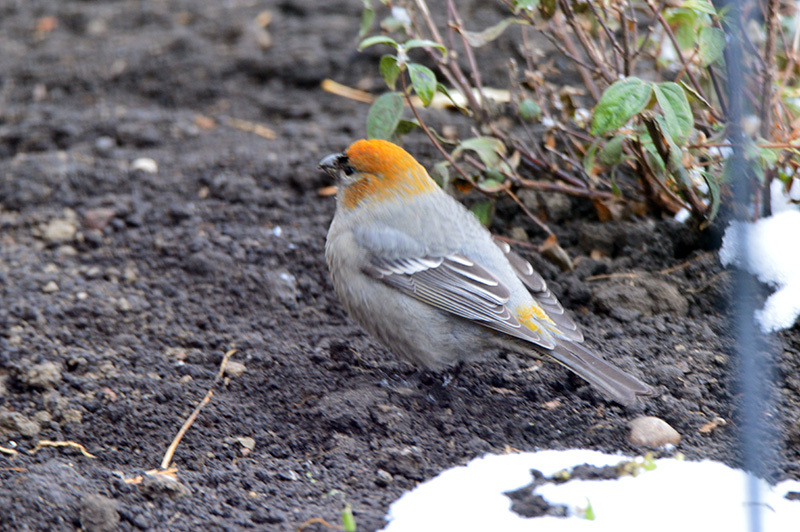 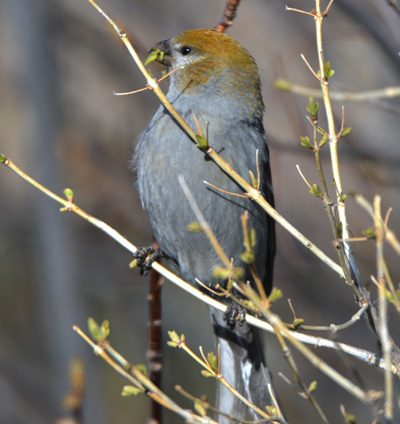 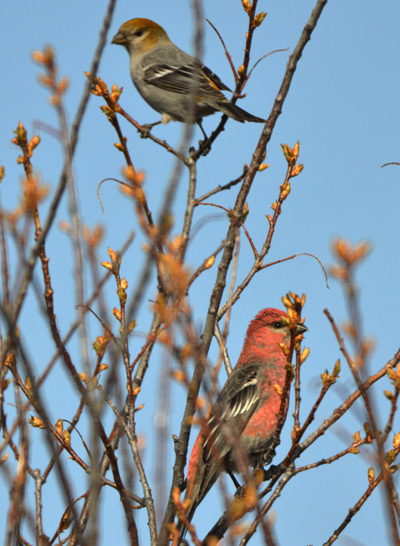 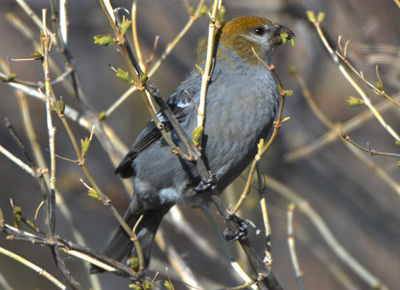 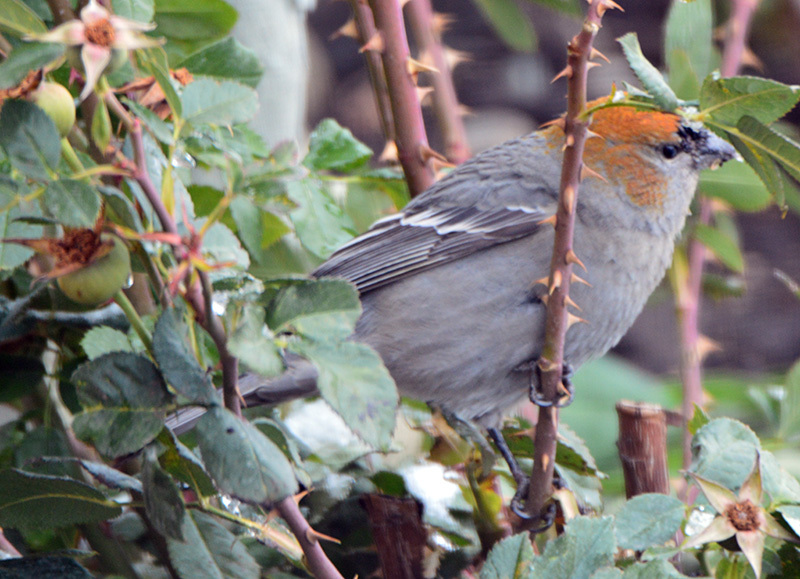 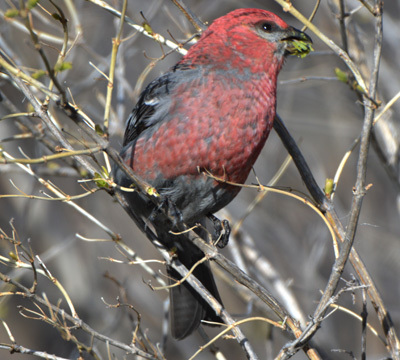 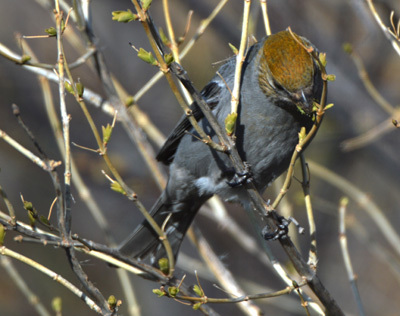 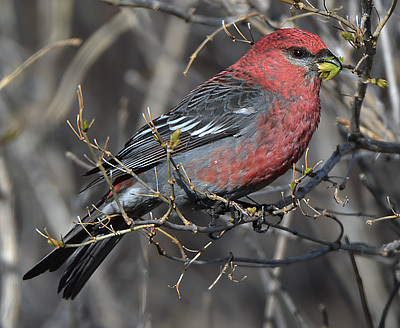 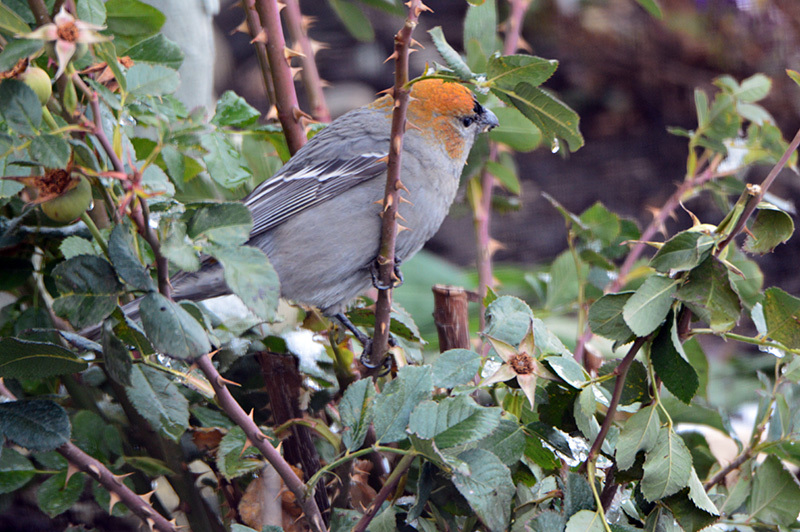 April 9/15 – What a pleasant surprise to look out my bedroom window and see this pair of Pine Grosbeak – 1st siting of these beautiful birds. 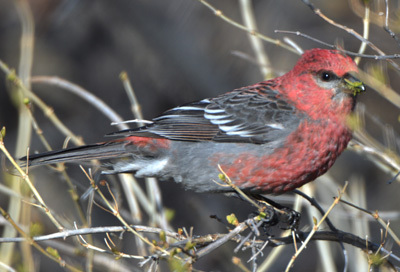 The male is the red one. 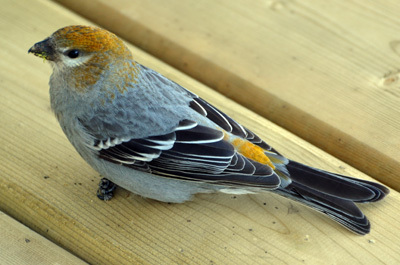 She flew into the window and was a bit stunned for a few minutes.